A Gauntlet Aerospace Alpha Jet flies above the Mojave Desert earlier this year. 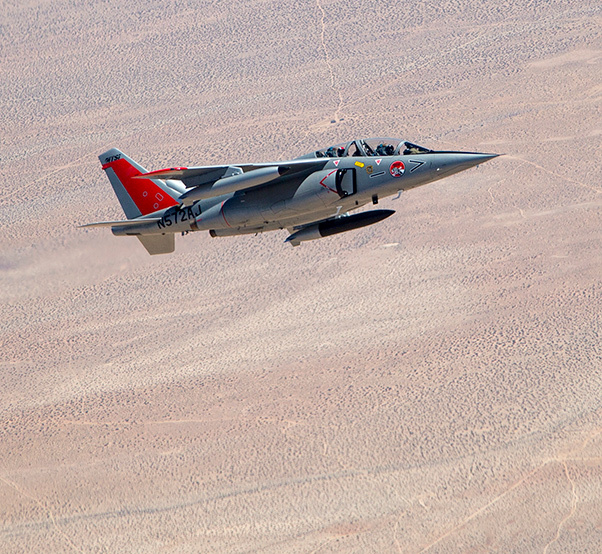 Two Alpha Jets have been contracted to serve as chase aircraft for test missions at Edwards Air Force Base, Calif. 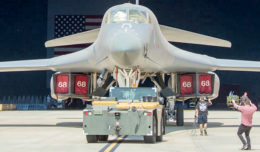 The 412th Operations Group is conducting an experiment to determine if the planes can successfully provide needed test support. When a test aircraft takes to the sky, on many occasions it is accompanied by a chase airplane. 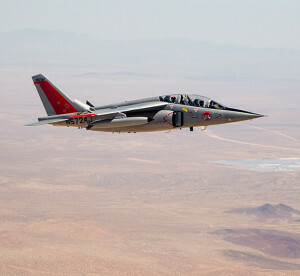 The chase plane can provide safety support by giving visual feedback, serve as a flying target, and document the test sortie through photography and video taken by an additional crewmember. 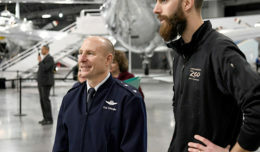 Testing new systems on almost every aircraft type in the Air Force inventory, with several sorties each day, can be a grind and the demand for chase aircraft is higher than ever. The 412th Operations Group at Edwards Air Force Base, Calif., is exploring ways to augment its chase plane fleet and one option is using Alpha Jets.